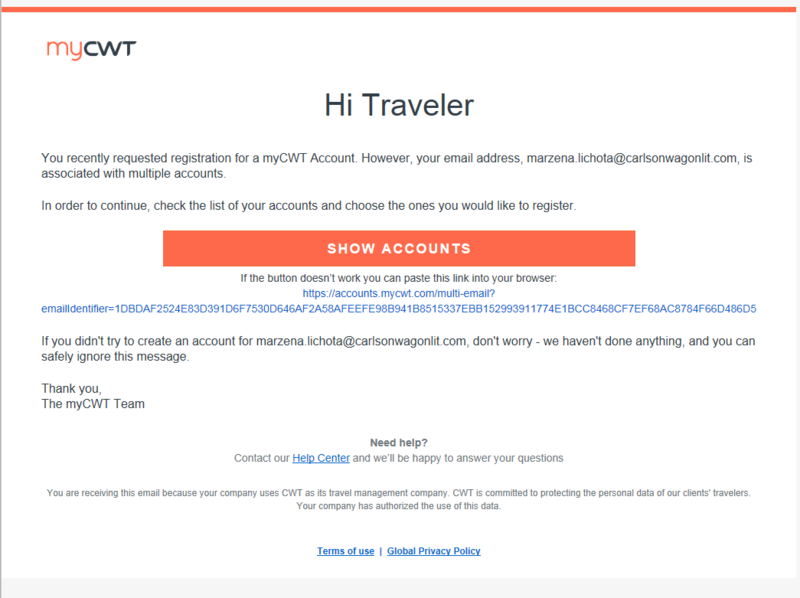 If you currently have multiple CWT accounts under the same email address you will need to register them one by one. Open the email we sent you with the subject line "Welcome to CWT - Registration of multiple accounts" and click the SHOW ACCOUNTS button. 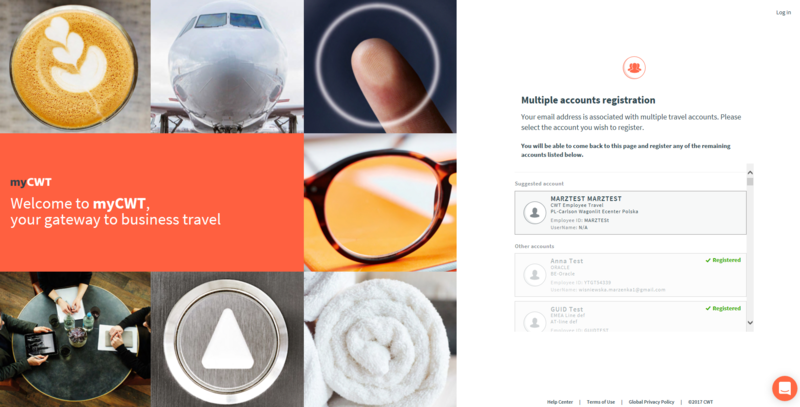 In the 'Multiple accounts registration' screen, you will see a list of all your accounts. Take a look at the list and choose the account you wish to register. Your main account should be visible at the top of the list. If it doesn't, scroll down to find it. Some accounts may appear as 'Inactive'. Those accounts cannot be registered and you'll need to contact our support team to check your options. After choosing the account you wish to register, we'll send you a link to register this account. Open the email we sent you with the subject line "Welcome to CWT - Please verify your email address" and click the ACTIVATE ACCOUNT button. Create a password and finish by clicking the SIGN UP button. ** If you want to register another account at this point, go back to the page that lists all your accounts and choose another account to register. For security reasons, in some cases, you'll need to restart the process again by entering your email address in the initial sign-up screen. If your email is associated with more than one account you would need to register at least one of the accounts on myCWT website and then log in with the same credentials to myCWY mobile app.